IBM has today announced plans to commit $1.2 billion (£730 million, AU$ 1.36 billion) to expanding its global cloud footprint through an increased network of data centres. The company aims to deliver coverage to 13 countries from 40 different data centres across the globe by the end of 2014. This new expansion is part of IBM's plans to move themselves into the new cloud-based market, which is seeing increased demand. 15 new data centres will be opened by the firm worldwide, doubling its SoftLayer coverage, the platform its cloud infrastructure will be mainly based on. Since its acquisition as a challenge to Amazon in 2013, IBM SoftLayer has served nearly 2,400 new cloud clients. 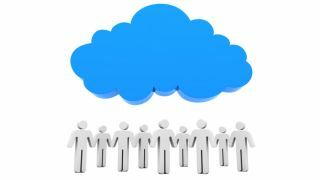 The global cloud market, is, according to IBM, set to grow $200 billion (£122 billion, AU$227 billion) by 2020; driven mainly by large public bodies and governments wanting to manage their supply chains and streamline their business practices. "IBM is continuing to invest in high growth areas," said Erich Clementi, senior vice president of IBM Global Technology Services. "Today's news is another major step in driving a global expansion of IBM's cloud footprint and helping clients drive transformation. IBM recognizes the universal need to deliver mission-critical workloads in a cloud environment that are secure, reliable and built on open standards." The creation of new data centres across the world will give businesses faster access to the cloud, increasing the speed of their connections as signals do not need to be transported across the world. IBM is hoping to meet growing client demand and achieving a goal of $7 billion (£4.28 billion, AU$7.95 billion) in annual cloud revenue. Since 2007, IBM has invested more than $7.5 billion (£4.5 billion, AU$8.5 billion) in 18 acquisitions in its bid to become a leader in cloud infrastructure. The company holds 1,560 cloud patents and has been top of the list for patent leaders for 21 years.